The following article regarding a soldier born in Ely appeared in the Coe College Cosmos on Saturday December 7, 1918. Word was received last Saturday by Mrs. Mary Filipi, 1416 K Street West, that her son, Joseph Filipi died November 2 as a result of wounds he received in the Battle of Sedan. He was wounded October 21 and died three days later. Besides his mother, Private Filipi is survived by two sisters, Mrs. Joseph Vavra and Miss Libbie Filipi and two brothers, John and Charles, known to Coe students as “Chuck” has been a star performer in athletic activities at Coe the last two years. Private Joseph Filipi enlisted in Battery E of this city and left with that unit for Camp Cody, New Mexicon in the early fall of 1917. He sailed for France June 26, 1918 and immediately on arrival was sent directly to the front. Here he was assigned to Battery C, 119th Field Artillery and for four and one half months was in the thicket of battle having this time been on only a short four day furlough. 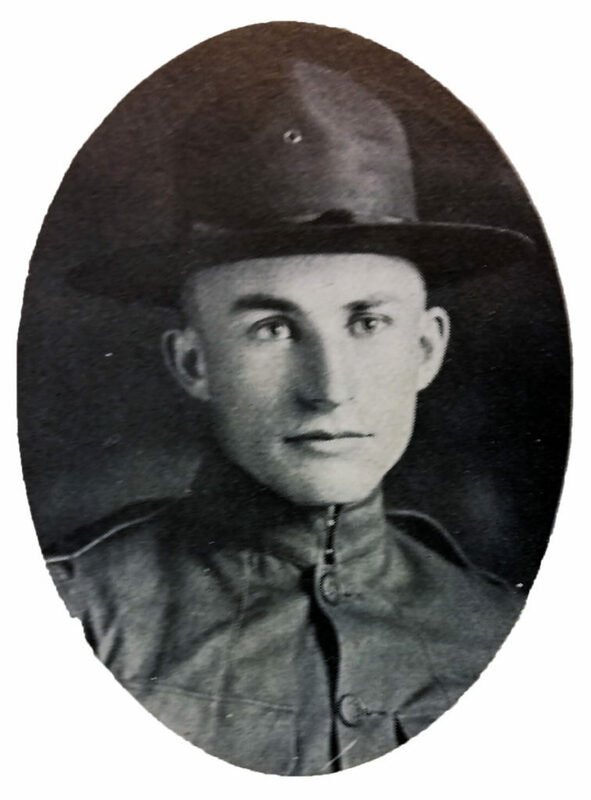 Private Joseph Filipi was born in Ely, Ia. November 11, 1892. The family moved to Cedar Rapids and Joseph attended the local high school. Upon graduation he entered Coe and was a junior at the time of enlistment. Joseph Filipi was a prominent athlete both in high school and at Coe and was also a member of the championship Battery Eleven when that organization won the divisional honors in the 34th division. This makes the sixth gold star on the Coe service flag. The following letter was received by Sergeant Charles Filipi and was written by the Red Cross chaplain who was with Private Filipi at the time of his death. A.E.F. France ~ Mr. Charles Filipi. 1416 K Street West Cedar Rapids, Ia. My Dear Mr. Filipi: I am American Red Cross chaplain with mobile hospital No. 1 where your brother Joseph Filipi has just died. He was badly wounded with shrapnel and lived only a couple of days after he was brought in here. He was a patient sufferer and won the admiration of all of us here. He made a brave fight for life, for he wanted to live. I deeply sympathize with his loved ones in their loss and also rejoice with them in the splendid gift they have made in the cause of freedom and righteousness. I read and had prayers with Joseph before he died and he was firm in Christian faith and assurance of the life to come. When he realized that he could not live he sent for me and asked me to write this letter to you.